Run the Rock! 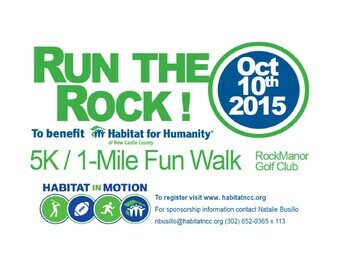 Join us on October 10th for a 5K run supporting Habitat for Humanity. This is the first time a 5K will be held at Rock Manor Golf Course. For more information or to register for this event visit http://habitatncc.donorpages.com/5k2015/.